It may be that I’ll have to swallow a few “I told you so”s tomorrow. When I was choosing yarn for Ysolda Teague’s Peaks Island Hood which I’m making for my Ma, I had settled on Heirloom Easy Care 12 ply. When he saw what I’d chosen, he seemed to trying to be dissuading me without coming right out and saying not to buy it. He tried again to divert me to another yarn; any yarn but that. I laughed. “You just don’t like this yarn, do you?”. But, in spite of his best efforts, I ploughed ahead. I’ve ripped out parts at least twice and started again with the same yarn once. 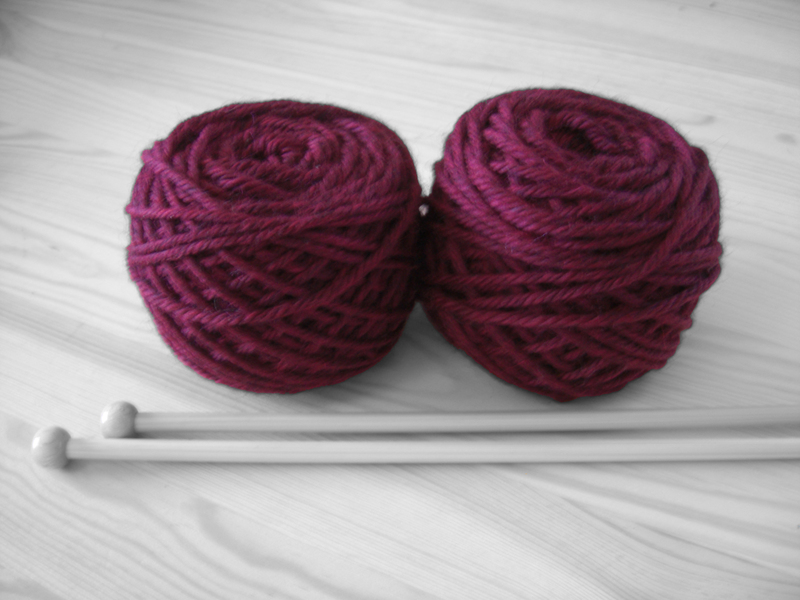 And today, I stand before you, with my work frogged and two new balls of yarn ready to start again. To be honest, I love this color a lot more; especially for my Ma. And I’ve used Estate 8 ply before and it’s very nice. So, I think this will be great. But, even after all that ripping out and starting again; I won’t say a bad word against the Heirloom. It -does- show mistakes very apparently, and I’ve definitely learned a lot about my knitting from using it. I’ll probably use it in a crochet project a bit later, because I think it would look super nice crocheted. Perhaps an amigurumi. As for now, I’m keen to get started on the hood yet again with the Estate. And after my second or third time working the beginnings of it, I’m still not sick of it. I’m such an Ysolda fan-boy now. grr sorry it didn’t work out with that project, but its such a lovely colour.